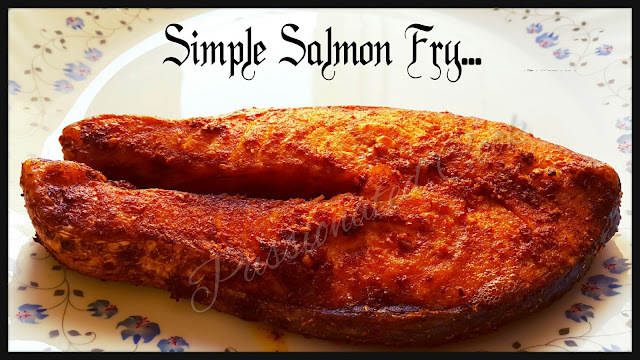 Salmon is a staple ingredient at my place, if its fish fry then its surely salmon... we have so much love for salmon. 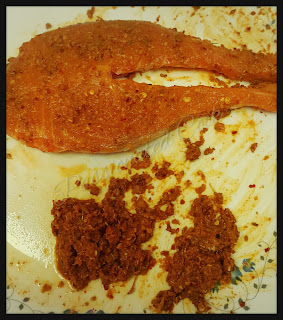 I normally use the traditional Indian masala for my fish fries but my neighbor sent me her fish fry which was really yummy and different in the taste. So i was unable to control myself from asking her for the recipe. As it was late night i didn't message her that day but the very next day morning i sent her the message asking for the recipe. Add the dry ingredients (cumin powder, chilli powder, turmeric powder, dry chilli, dry coriander seeds, caraway seeds) to a blender and crush them coarsely but make sure you don't make a fine powder. I make a large batch and store in air tight container. Add the ginger garlic paste, lemon juice and oil and enough water to the powder and make a thick paste out of it. 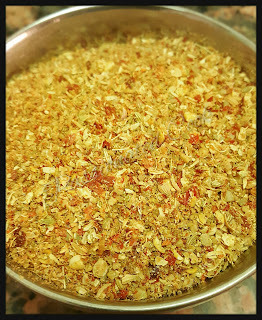 Marinate the fish with the above masala and let it sit for an hour. 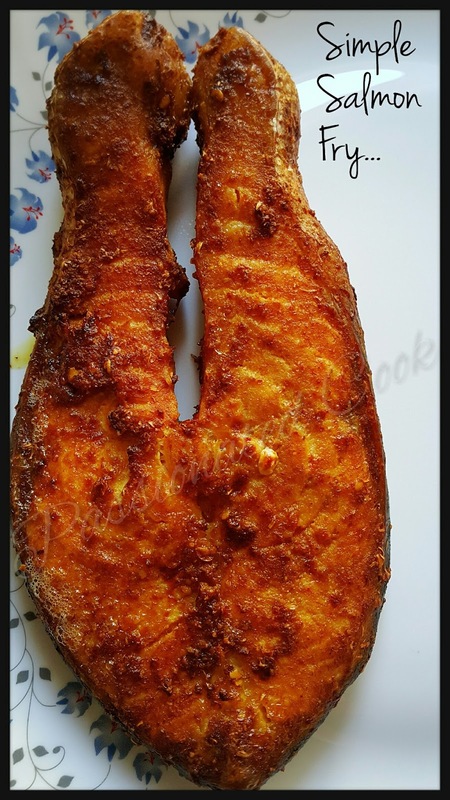 I use my air fryer for frying the fish(200 C for 8-10 mins), but it can also be shallow fried in a tawa till done.